Samuel P ELIA was the son of John and Rose ELIA. He was born in 1922 in Chicago, Illinois and lived at Downers Grove in Du Page County, IL. He entered in service at unknown date and received ASN 36613442. He was than volunteer for the new Airborne Corps and he was finally assigned to the 507th PIR / 17th AB (as remplacement after the Normandy campaign). 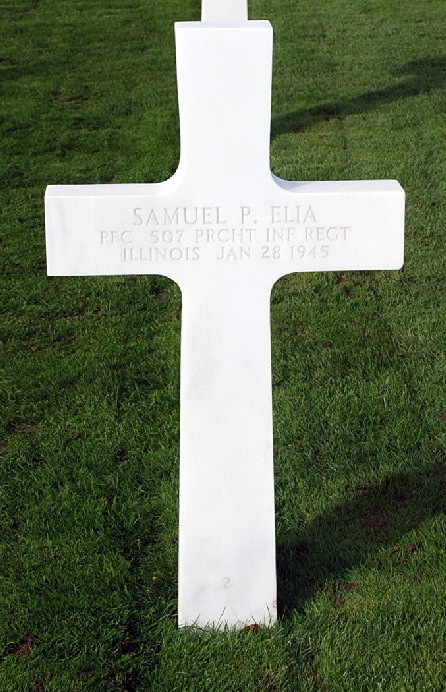 Samuel P ELIA was killed in action on January 28, 1945 during Rhineland Campaign. He had 22 years-old. He is now permanently buried in the Luxembourg American Cemetery, Luxembourg, Great-Dutchy of Luxembourg. Herbert L POWELL was the son of Leonard POWELL and Margaret AZBILL. 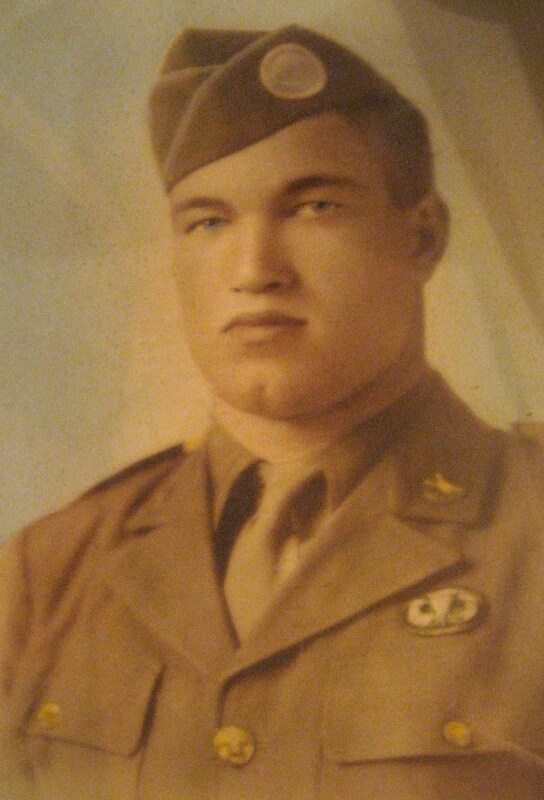 He was born on October 05, 1919 in Jackson County, Kentucky and lived in Ohio when he was volunteer for the Army. He entered on service on August 21, 1940 at Fort Thomas Newport, Kentucky and received ASN 15054794. He was than volunteer for the new Airborne Corps and he was finally assigned to the 507th PIR / 17th AB (after the Normandy campaign). Herbert L POWELL was killed in action on January 11, 1945 during the Battle of Dead Man's Ridge. He had 26 years-old. 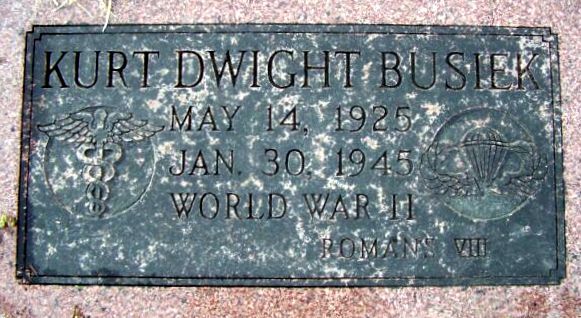 His body returned stateside and he was permanently buried in the Suamico cemetery, Wisconsin in 1949. 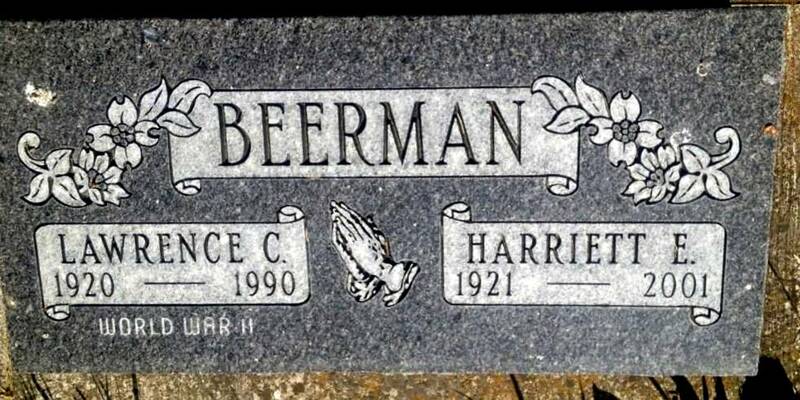 Lawrence C BEERMAN was born at Power in Teton County, Montana in 1920. 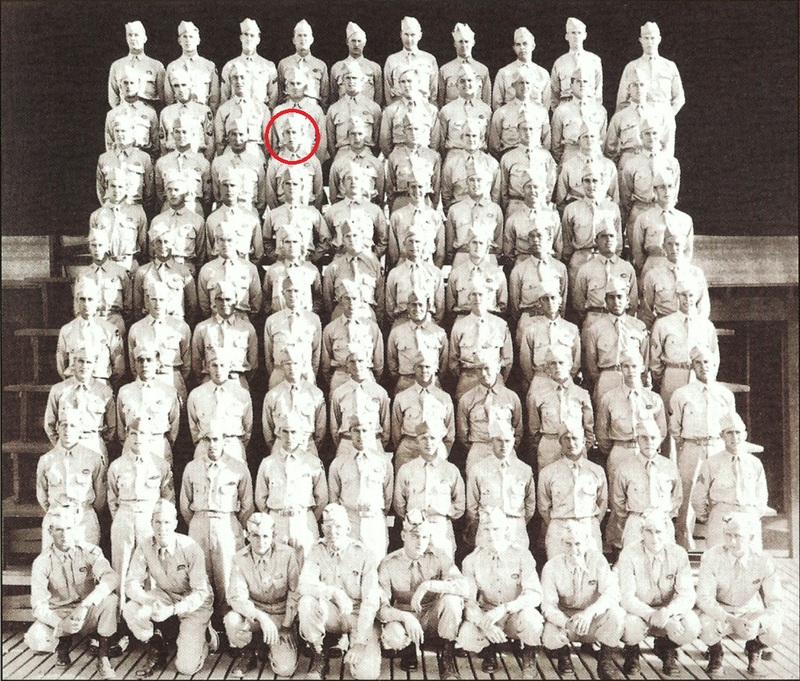 He was volunteer for the Army and entered in service on April 09, 1942 at Missoula, Montana. He received ASN 19071601 and was volunteer for the new Airborne Corps. 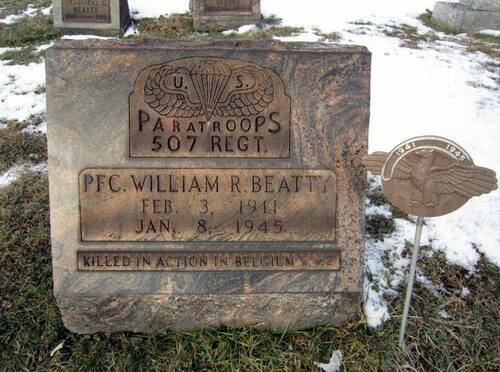 After having completed his paratrooper qualification, he was assigned to the 507th PIR and served with the HQ II Company until the end of the war. On June 06, 1944, Pvt BEERMAN was in the C-47 plane number 42-23933 from the 15th Troop Carrier Squadron piloted by 2nd Lt Louis P DOUCET and 2nd Lt L.Z. BLANCETT. He jumped on to the Normandy in 11th position, after 2nd Lt John W SIVETS, T/4 Earl F ROBINSON, Capt Irving PINE, Pfc Elmer H CLARK, T/4 Bernard E SHAKE, Pvt Thomas D PARKS, Pvt Carl J NELSON, S/Sgt Willard J HARDY and before Pfc Elmer H NIENMEYER, Pfc Donald E HUNCOVSKY, Pvt Tommy V MADDISON, Pvt Charles BERTHOUD, Pfc Maple T POWELL and Cpl Joseph P McMAHON. He was with the HQ II during the Bulge and made his second combat jump on March 24, 1945 as S/Sgt. For this jump, he took of with the C-47 plane number 42-93025 from the 88th Troop Carrier Squadron piloted by 1st Lt James E MAXWELL and 1st Lt Phillip R HAINES. 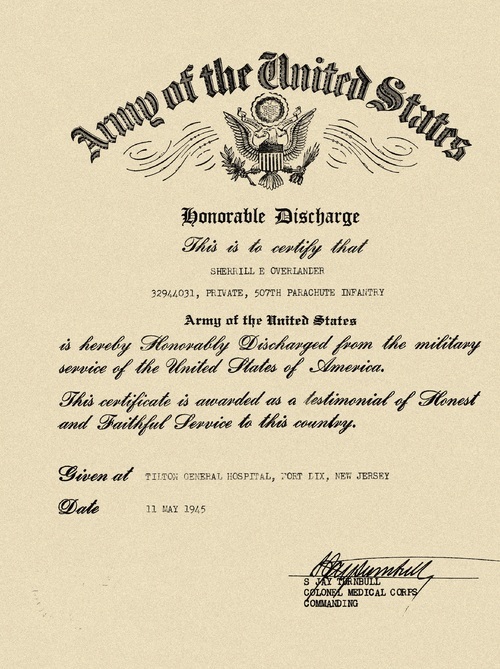 He jumped in the vicinity of Diersfordt in 2nd position, after Cpl GRAGOWSKI and before Cpl Francis J TOLBERT, Pfc Robert B WEBSTER, Pfc Palmer W LEE, Pvt Abel BOOTH, Pvt James R VEIT, T/Sgt Tom E DENHAM Jr, Pfc Karl E LEWANSKI, Pvt Jerome A RUDOLPH, Pfc Marvin GOLDFADEN, Pvt Taylor N LANGLEY, Pfc Wayne E ELFRINK and Pvt James R MULLER. He passed away in 1990 and is buried in the Highland Cemetery of Great Falls, Montana. Jerome G DAY from Detroit, Wayne County, Michigan, was born in 1923. He was volunteer for the Army and entered service at Detroit, Michigan in November 19, 1942, received ASN 16150809 and was finally assigned to Cie D - 2nd Battalion - 507th PIR. Veteran of the Battle of Normandy (he was wounded in action on June 10, 1944), he was killed in action on January 16, 1945. Joseph R DOWNING was the son of Clifford Phillip DOWNING and Mabel Beulah METEVIA. He was born 1921 in Akron, Tuscola County, Michigan. 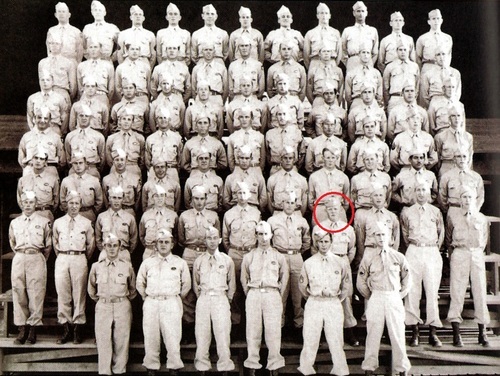 He was enlisted in the Army on November 22, 1939 and received ASN 6916262. According to the US Census, he was located on March 03, 1940 in Kelly Field, Bear, Texas, 12th Air Base Squadron Air Corps and later (April 27) in Selfridge Field 3rd Air Base Squadron Barracks, Harrison, MI. 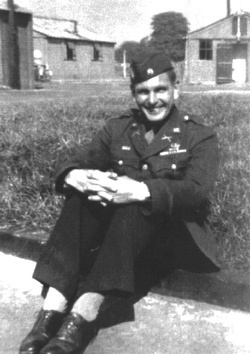 He was than volunteer for the new Airborne Corps and became a "first hour" member of Company D / 507th PIR. He was sent in England with his regiment in December 1943 and was than attached to the 82nd Airborne Division in order to participate to the invasion of Europe. On June 06, 1944, Pfc Joseph R DOWNING was in the C-47 plane number 42-92776 from the 15th Troop Carrier Squadron piloted by 1st Lt Lyford H BEVERIDGE and 2nd Lt John HELEVICK. He jumped on to the Normandy in 11th position, after 1st Lt Louis LEVY, Pvt Arthur H ROLFE, Pfc Thomas F D'ANDREA (Med Co), Pvt William J HICKEY, Pfc George F CARR, Cpl Karl P KUHN, Pfc Walter T MIKALICZ, Pvt Stanley BORKOWSKI, Pfc Carl E DENTON, Pfc Milo F HOGAN and before Sgt John W CONWAY, Pvt Charles FERGUSON Jr, Pfc Paul KNEZO, Pvt Frank S COSTA, Pfc George D JOHNSON, Pfc Cecil C COLLIER and S/Sgt Orval W BULL. After the Normandy Campaign, he returned in England in July and was than assigned in August to the new 17th Airborne Division who was just arrived from the States. Joseph R DOWNING was killed in action in Limberly, Belgium on January 21, 1945. He had 23 years-old. He was awarded posthumously from the Silver Star Medal for gallantry in action this day (Headquarters, 17th Airborne Division, General Orders No 55 (August 16, 1945). The citation says : "When Pfc DOWNING and another enlisted man became separated from the first patrol into Limerlé, Belgium, they joined with a French paratrooper to continue clearing the town. Upon receiving information from civilians that about 30 Germans wanted to surrender, they went to take them prisoner. As they approached the Germans, the Germans took cover and opened fire on the three men, severely wounding Pfc DOWNING. He immediately took cover in a nearby ditch and opened fire on Germans, shouting to his comrades to fall back while he kept them under fire. His self-sacrifice in continuing to provide covering fire saved the life of other enlisted man although it cost his own. His action were in accord with the highest standards of the Airborne Forces." 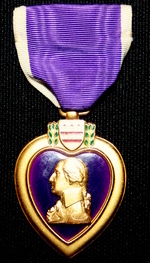 Joseph was also awarded Purple Heart Medal, French Croix de Guerre, European-African-Middle Eastern Campaign Medal with 2 Bronze Stars and 1 Arrowhead, Parachute Badge, Combat Infantryman Badge and Presidential Unit Citation. 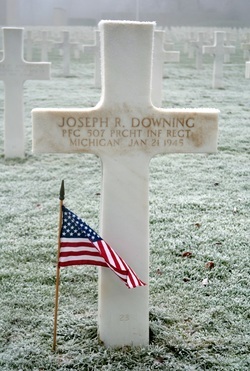 He is permanently buried in Luxembourg American Cemetery. Kurt D BUSIEK was the son of Dr Urban J BUSIEK and Mrs Erma M RAUSHKOLB. He was born on May 14, 1925 Springfield, Greene County, Missouri. He entered on service at unknown date and place and received ASN 37532928. He sent to Camp Fannin, Texas for basic training (B/63rd Training Battalion) and than was volunteer for the new Airborne Corps and he was sent to Fort Benning, Georgia. He was finally assigned to the Company E / 507th PIR as Medic in November 1944 as a replacement. Kurt D BUSIEK was killed in action on January 30, 1945 during the Rhineland Campaign and especially Our operations in Luxembourg in bringing aid to Sgt L L JOHNSTON, Pfc G L DENHAM and Sgt Joseph SCHRAMM. He had 19 years-old. "Dr. and Mrs. Urban J. Busiek, 1401 East Walnut, received a telegram at 8:30 o'clock last night from the War department stating that their son, Kurt D. Busiek, 19, aid man of a platoon in a medical detachment of the 507th Parachutist, was killed in action in Luxembourg January 30. He had been overseas since November and had been in France since a day or two before Christmas but had not been at the front until a month ago, as far as his parents know. They had a letter from him yesterday saying, "I'm certainly proud of these feet of mine. After suffering as much as I did for a while, I came through this last action fine." Previously his feet had hurt badly when his shoes became frozen. "We've left our foxholes," he continued, "and are living in a farmhouse." Kurt was president of the student body the last year he was in school at Greenwood high and was on the basketball team the year Greenwood won the state championship. He was active in religious work both at Grace Methodist church where he had a membership and among the boys and girls he associated with at school. Besides his parents, Kurt is survived by two brothers, Paul, who is studying at St. Louis for work with the U.S. Army Medical Corps, and Edwin, who attends Greenwood; and one sister, Miss Anzie Busiek, who teaches school at Alton, Ill. Kurt graduated from Greenwood in the spring of 1943, the year Greenwood won the basketball championship." "The body of Pvt. Kurt D. Busiek, 19-year-old son of Dr. and Mrs. U. J. Busiek, 1635 East Walnut, who was killed in action in Luxembourg January 30, 1945, will be returned for burial Thursday. Private Busiek was serving as a medic with the 101st paratrooper division at the time of his death. Born in Springfield he attended Greenwood High School and had lived here all his life. In addition to his parents, his is survived by a sister, Mrs. Robert Bennett of Springfield; two brothers, Dr. Paul J. Busiek of St. Louis and Edwin F. Busiek of Springfield; and a nephew. Memorial services will be held at 2 o'clock Friday in Grace Methodist church. Burial will be in Maple Park Cemetery." He is now permanently buried at Maple Park Cemetery, Springfield, Greene County, Missouri. Sherrill E OVERLANDER was born on November 07, 1916. This man served in the National Guard (110th Infantry Regiment / 28th Infantry Division) prior to the World War II. He was Heavy Truck driver and lived in New York when he was inducted in the Army on September 04, 1943. He entered in active service at Albany, NY on September and received Army Serial Number 32944031. 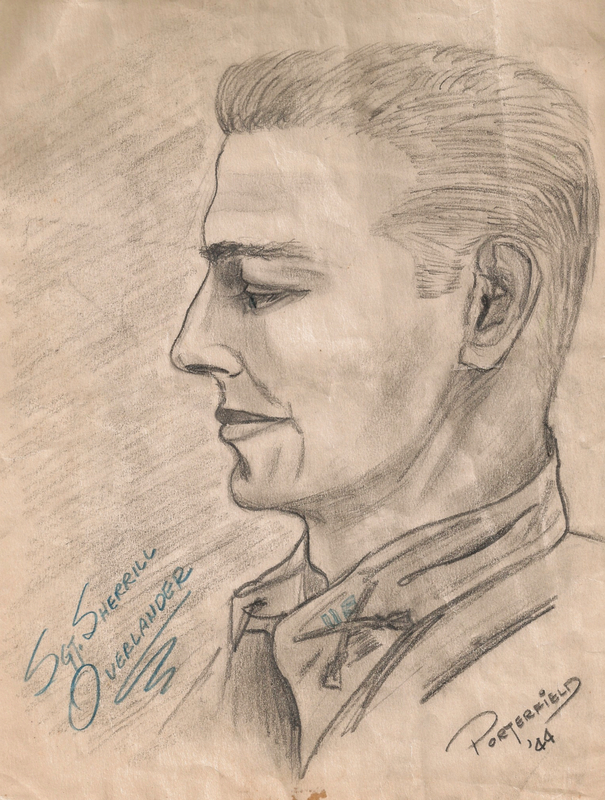 In early 1944, he was volunteer for the paratroopers and was sent at Fort Benning’s Parachute School where he was successfully qualified on April 29, 1944. 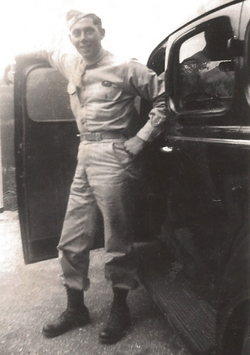 He was qualified Rifle Expert on June 09, 1944. He was send overseas on October 1944 and arrived in England on November 02, 1944. He was probably in the Reserve Pool when he was assigned to the F Company / 507th PIR, only few days before the division was alerted to move in the Bulge. He fought in the Bulge with the 17th AB and was send in United States on March 01 for unknown reason (I don’t have found any information about a wound received during the battle of the Bulge), 1945. He arrived home on March 09, 1945. 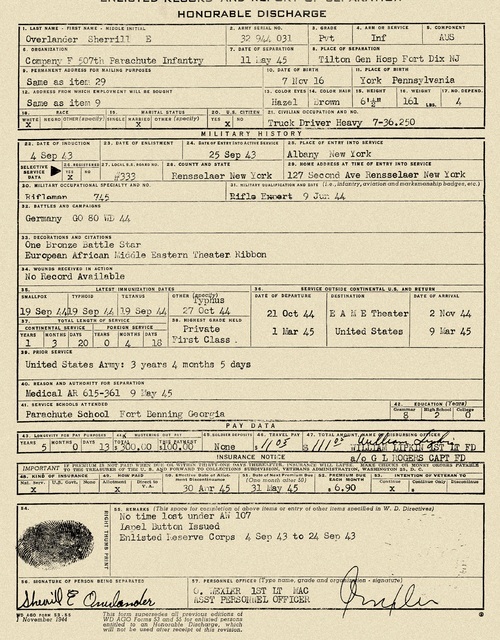 He was discharged on May 11, 1945 while he was hospitalized at Tilton General Hospital, Fort Dix, NJ for medical reason. Sherrill was awared European-African-Middel Eastern Campaign Medal with one Bronze Battle Star. Sherrill E OVERLANDER passed away on October 12, 1985. George H PRINCE was born on October 08, 1924 in New Hampshire and lived in Merrimack County, NH when he was enlisted in the Army. He entered on service on April 12, 1943 at Manchester, New Hampshire and received ASN 31268924. He was than volunteer for the new Airborne Corps and he was finally assigned to the F/507th PIR / 17th AB. George H PRINCE was killed in action on February 07, 1945 during the Rhineland Campaign, when the regiment was located in the Our river area, Great-Dutchy. He had 20 years-old. His body returned stateside and he was permanently buried in the Mills cemetery, Salisbury, Merrimack County, New Hampshire. John T DAVIS was born at Rockwood, TN on March 16, 1915. 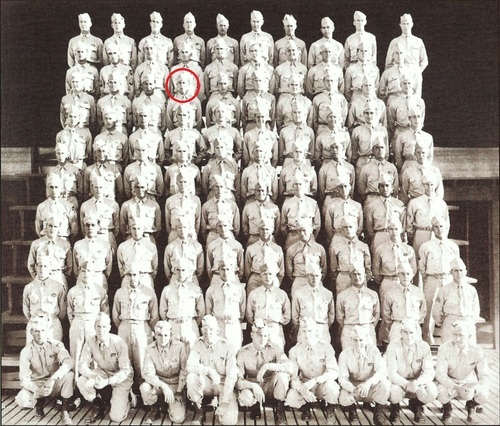 He entered the Army on June, 12, 1939 after having completed four years at West Point Military Academy. 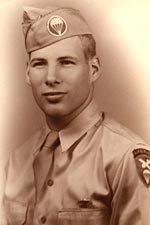 He received ASN O-22136 and joined the new Airborne Corps where he was finally assigned to the 507th PIR. He became the Executive Officer of the 3rd Battalion during the battle of Normandy and was killed in action on January 8, 1945 in the area Laval, during the battle of "Cake Hill". 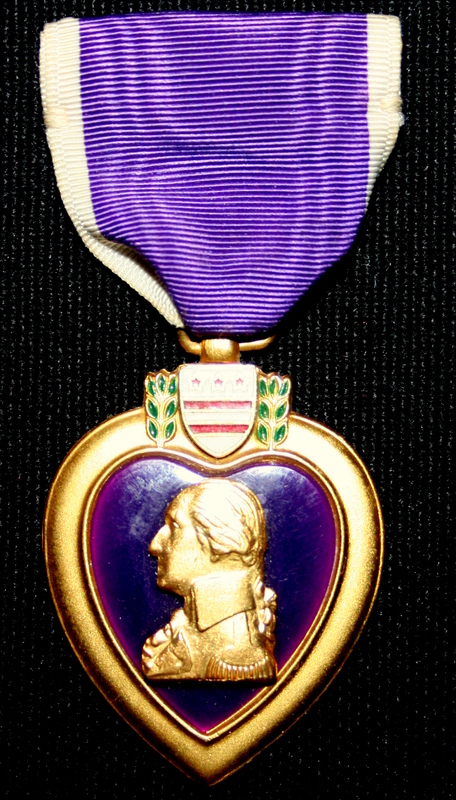 He was awarded 2 Purple Heart Medals, 1 Bronze Star Medal and 1 Silver Star Medal. Albert L WARWICK was the son of John William WARWICK and Rhea Selena (JONES) WARWICK. He was born on August 16, 1926 at Salt Lake City, Salt Lake County, Utha. He was volunteer for the Army and entered on service at unknown date. He received ASN 19187595. He was than volunteer for the new Airborne Corps and he was finally assigned to the Company HB / 507th PIR in summer or autumn 1944, after the battle of Normandy. 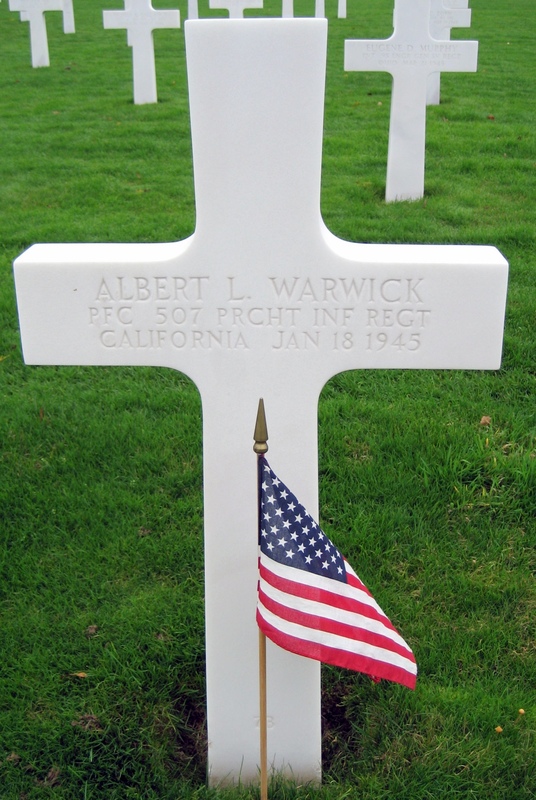 Albert L WARWICK was killed in action on January 18, 1945. He had 18 years-old. "Tragic hand of war reached into the home of Mrs Rhea WARWICK, formerly of Salt Lake City, for the third of four sons was killed in action. The War Department's "we regret to inform you" telegram announcing the death of her youngest son was the third received in the Warwick's San Francisco home since the beginning of the year. Mrs WARWICK's only hope is that the Red Cross of War Department can bring her only surviving son, Pvt William E WARWICK, 22, back from Europe. Mrs WARWICK's oldest son, Corporal John W WARWICK, 32, a paratrooper, was killed in France in January. 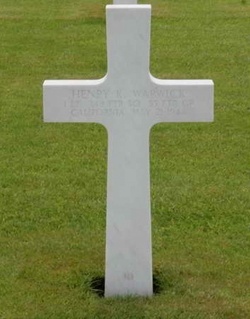 Lt Henry WARWICK, 25, a pilot with 90accredited missions, was killed over Germany in a Berlin attack in January, and her youngest son, Pfc Albert WARWICK, 19, died in action in France January 18. The four sons were born and reared in Salt Lake City and attended schools here before moving with their parents to Boise, Ida. They moved to San Francisco four years ago. 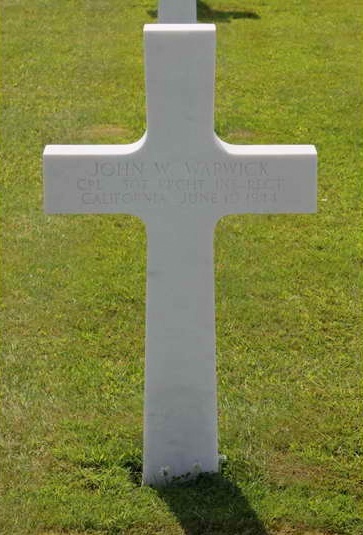 Mrs WARWICK's husband, John W WARWICK died three years ago in San Francisco. Surviving the three service men are the mother, brother and a grandmother, Mrs W. A. JONES. Pfc Albert L WARWICK is buried at the Luxembourg American Cemetery, Cpl John W WARWICK is burried at the Ardennes American Cemetery next to Henry K WARWICK." William Russell BEATTY was the son of William Garfield BEATTY. He was born on February 03, 1911 at Johnstown, Cambria County, Pennsylvania. 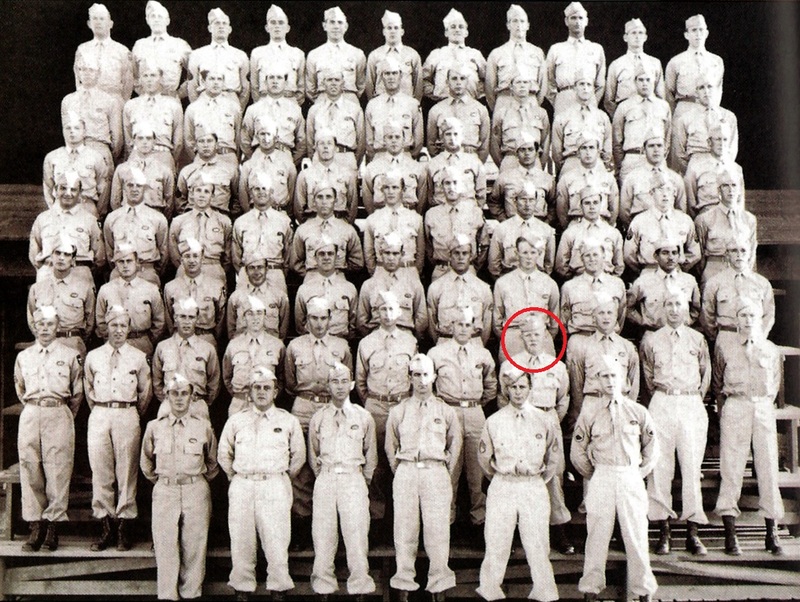 He was enlisted on May 13, 1942 at Altoona, Pennsylvania and received ASN 33019615. He was so volunteer for the new Airborne Corps and he was finally assigned to the Company I / 507th PIR. William BEATTY was killed in action on January 08, 1945. He had 33 years-old. He is permanently buried in Benshoff Hill Cemetery, Johnstown, Cambria County, Pennsylvania. Harold K AHLQUIST was born at New-York on February 18, 1919. He entered the Army on July, 08, 1941 at Fort Jay, Governors Island, NY and received ASN 32098180. He was volunteer for the new Airborne Corps and became a "first hour" recruit of the 507th PIR where he was assigned to the Medical Detachment. He was killed in action on January 11, 1945. He was awarded the French Croix de Guerre Citation, Purple Heart Medal and Silver Star Medal (posthumously) by GO N°7 (1945), Headquarters 17th A/B.